New freebie alert! 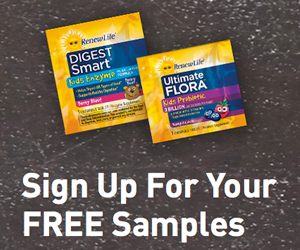 You can sign up to receive 2 free samples from Renewlife Kids! You'll receive the Ultimate Flora Kids Probiotic and Digest Kid Smart Enzyme when you request them. To sign up for yours, click on the picture below. You'll be asked for your mailing information and a couple of other questions. Then sit back and wait 6-8 weeks for your freebies!